Solar systems are proliferating around the world and in our region, and with good reason. As a homeowner or business owner you might want to know what it's all about, and most important, "WHAT SHOULD YOU BE DOING?" Millennium 3 Energy -- M3E -- would like to be your solar energy partner. If you seek solutions for smart, economical, and earth-friendly use of energy, we have the know-how and the resources to help you make positive change. You can continue to pay rising rates for electricity, or you can make you own electricity with free fuel from the sun. Do you wonder about solar industry concepts like grid connection and net metering? Talk to us. We will provide turnkey solutions for your energy needs. 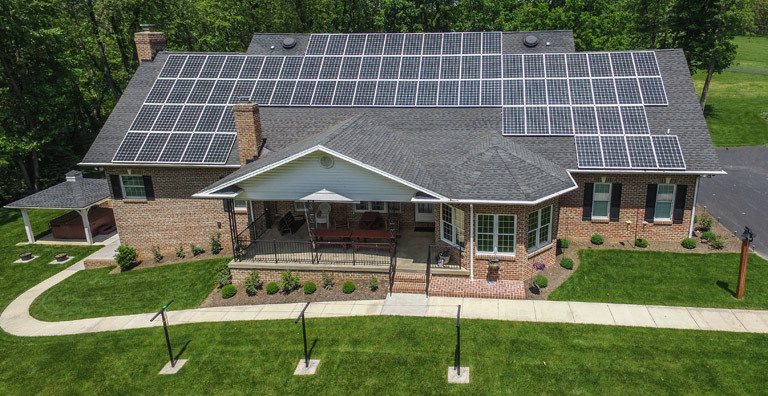 "We were impressed with the ease and timeliness of our solar installation. M3E was a great help in processing all the grants and incentives for our project. Looking forward to another installation soon."